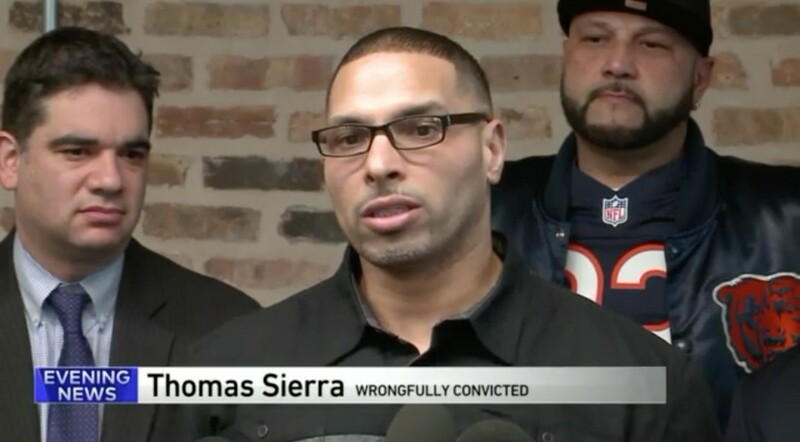 Murder charges were dropped last week against Thomas Sierra, who spent 22 years in prison, following legal efforts by the Exoneration Project, a pro bono legal clinic at UChicago Law School. The Cook County State’s Attorney’s office dropped charges against Sierra on January 9 after determining that the evidence presented in his 1997 trail did not meet the burden of proof. At the age of 19, Sierra was convicted for the gang-related murder of Noel Andujar, who died in the backseat of a car during a Logan Square shooting. After eyewitnesses Alberto Rodriguez and Jose Melendez identified Sierra as the gunman, Sierra was sentenced to 45 years in prison. But both eyewitness say they were pressured by former Chicago Police Detective Reynaldo Guevara to identify Sierra. Doubts about Guevara’s credibility heightened during a recent revisit of his testimony against abuse allegations from Gabriel Solache and Arturo Reyes, who both claimed Guevara coerced false confessions out of them in their 1998 double murder conviction. There, Cook County Judge James Obbish labeled Guevara a “bold-faced” liar, undeserving of credibility as a witness. Tepfer recalls Obbish’s denouncement of Guevara as important to the progression of Sierra’s case. The Cook County State Department “quickly agreed” and abandoned the case. “Thomas is a very intelligent, kind, thoughtful, and warm man. I just want to support him in whatever he chooses with his new start in life,” Tepfer added. As the Exoneration Project pushes onward, Tepfer aspires to secure representation for more individuals convicted wrongfully.